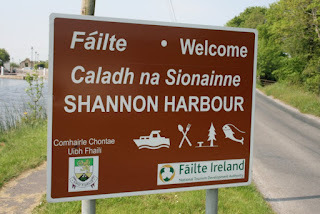 9:00 am lazing around on another warm (hot in Ireland) day here at Shannon Harbour. It is a little cooler due to haze and some breeze but its still going to be in the low 70sF, 20sC. 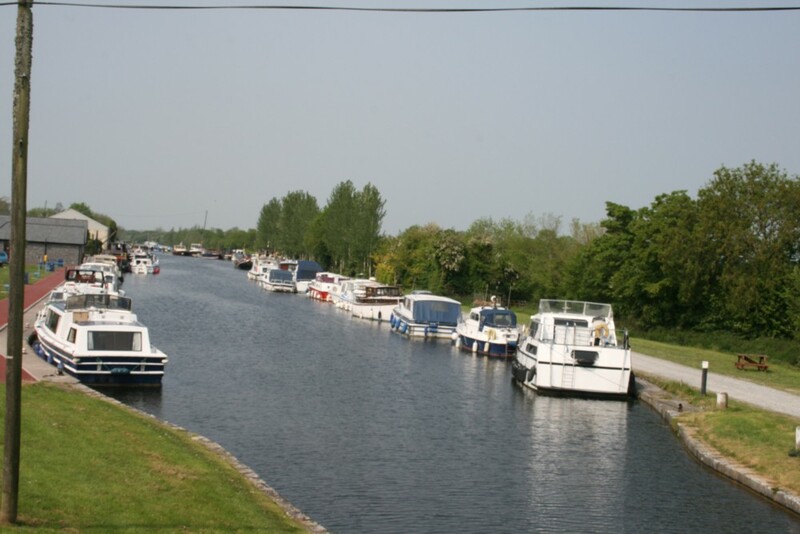 It is indeed a relaxing space between the two locks of Shannon Harbour. At first, we are not sure where the town is but here, where we are moored, there are many trees and many singing birds. 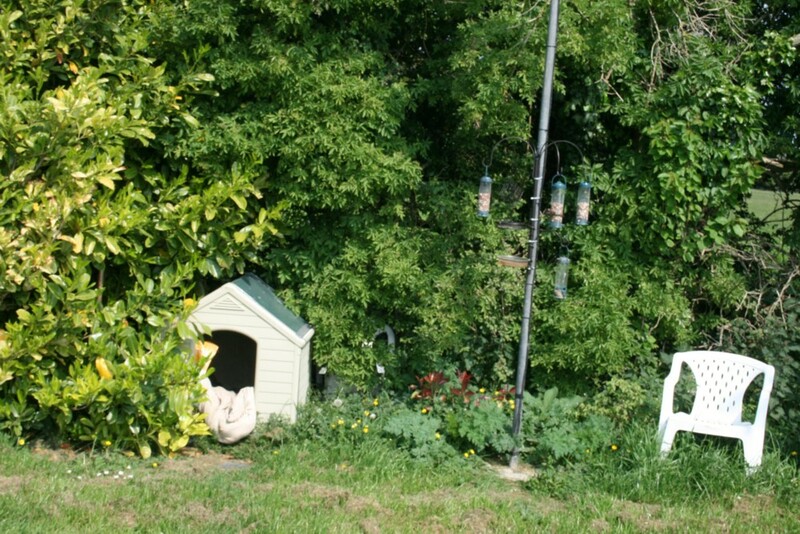 Surprisingly, no ducks as they usually congregate in a place like this. 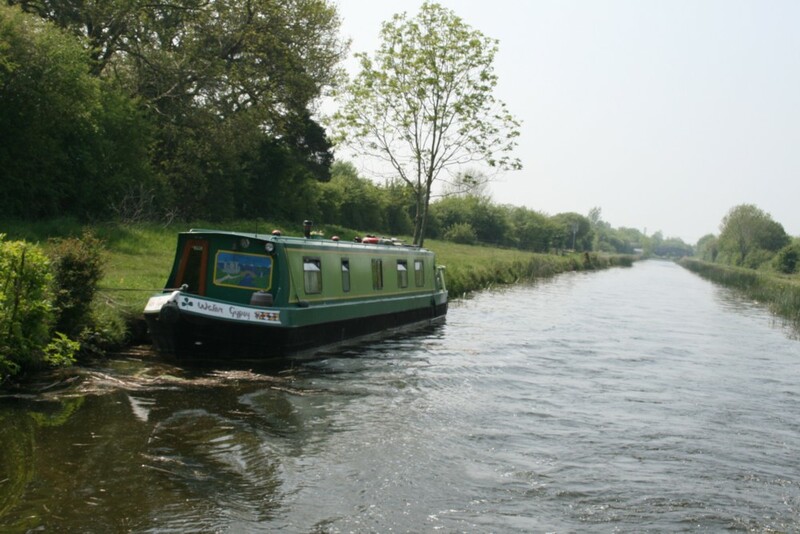 We are not on a marina or mooring but tied to a grassy bank. 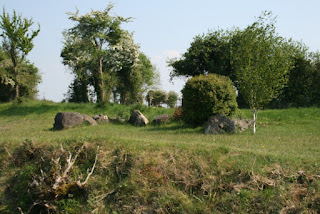 There are several wide stone cursus' here, too wide for walls. I am sure they are ancient. I thought about going back to take pics but really something like this needs an aerial shot. Before setting sail we decided to explore around the village awhile. The first thing that strikes our imagination are the ruins of a canal-side hotel here. This indicates this was once a major leisure destination. From here we decided to see what extra food supplies we could hansel for our ships supplies. 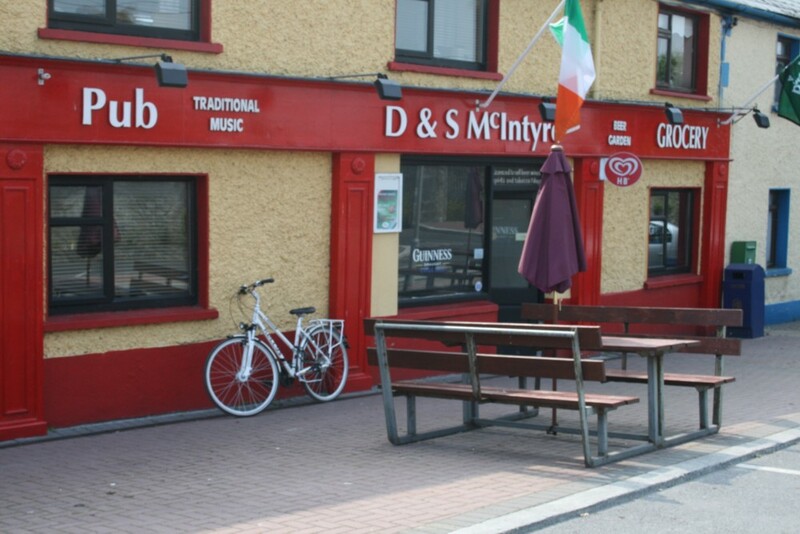 The village has one store, well a pub with a grocery store combined, a touch of old Ireland remaining. 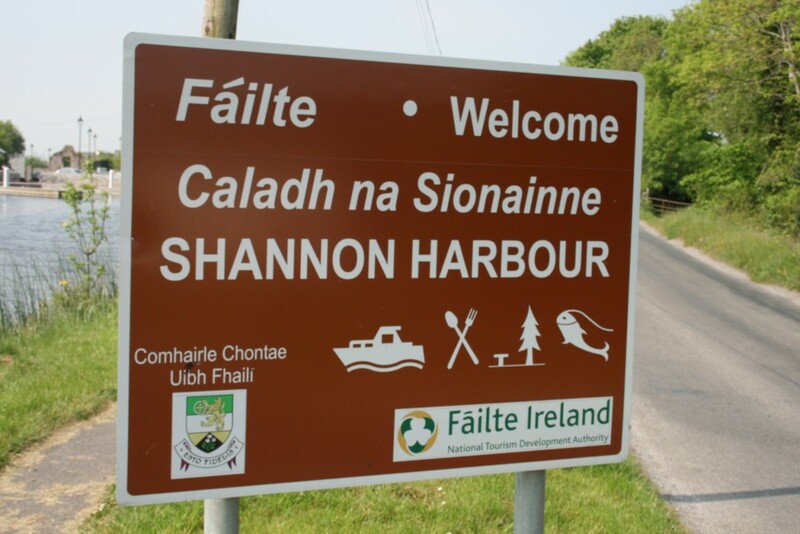 We are curious to see if we could purchase some prepared food for lunch, considering the Shannon Harbour sign carries the spoon and fork symbol, indicating food ready to eat and catered. Our discovery is that frozen pizza could be heated up and served. Enough to warrant the village earning the catering symbol on their sign, we thought. That aside the people here full of courtesy and hospitality, and maybe there just is not the catering demand here that we may believe there is. Claire and I are not sure what our destination goal is today. I don't think we have one. 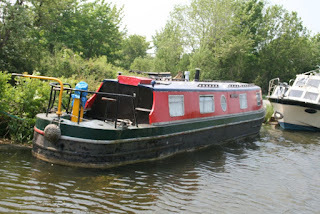 We have already discovered this is not wise to do on the waterways. Thomas Roche finishes his journey log with "At Shannon Harbour we enter the Grand Canal, picturesque but disturbed by the noisy motor barges which ply day and night". 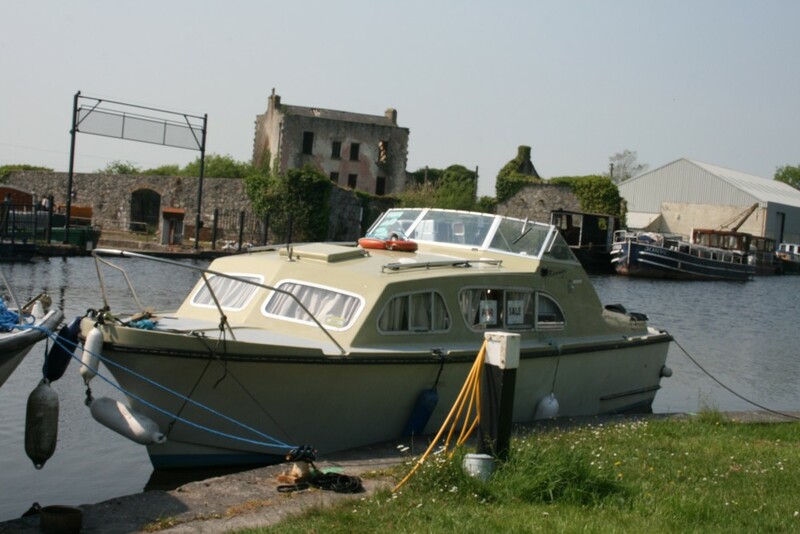 Those industrial and commercial barge days are now gone and Shannon Harbour is at peace now, though there is an artistic melancholy of some abandoned boats. Boats of once loved times that are slowly becoming a very intimate part of the water and lush banks which will eventually make them invisible. 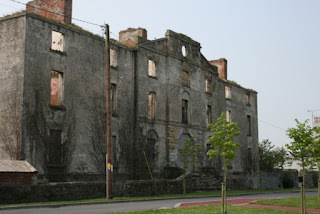 Shannon Harbour is now a quiet place, but not as derelict as when Thomas reported. Thomas Roche actually finishes his report of the entire waterways triangle with a single line about their entire Grand Canal adventure, "We drop down by easy stages to Inchicore and return through the city (Dublin) to the Liffey at Ringsend." 9:55 am we set off from our mooring between the locks of Shannon Harbour, but stop awhile on the other side of the second lock. We need to charge our phones and iPad, that is recording this journal. We can do this at the lock keeper's office. 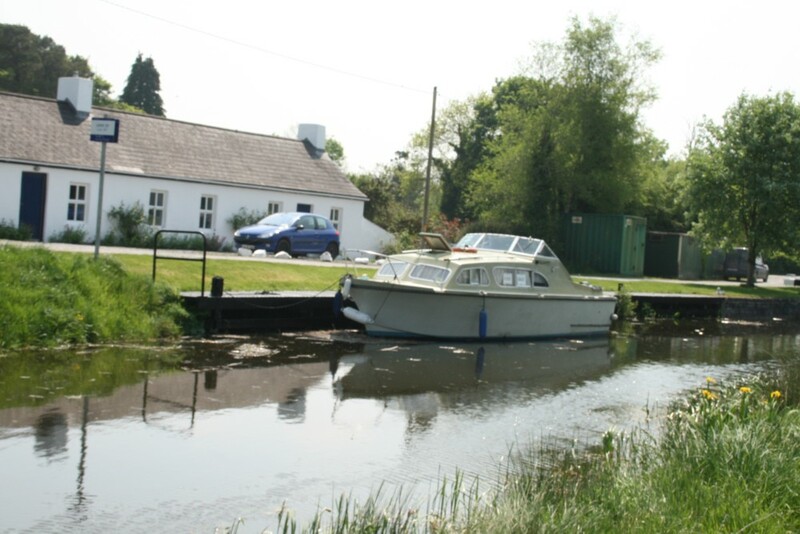 12:30 pm left Clononey Bridge lock. We pull in at the moorings at the other side of the locks, where lock keeper Alan has his well equipped kitchen and office with a sofa. Alan invited us to charge up iPad and phones for awhile during lunch, as they had not been fully charged at the Shannon Harbour office. 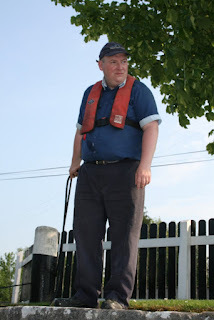 Alan's session of telling us stories of the canal and people of the canal, made sure we were here long enough for our gadgets to be fully charged. 3:15 pm we are on our way again. 4:30 pm pass under the Noggus and Armstrong bridges. 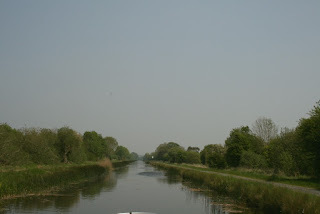 The landscape changes from straight canal bordered by grazing farmland to a kind of winding river with woodlands and remains of ancient buildings. 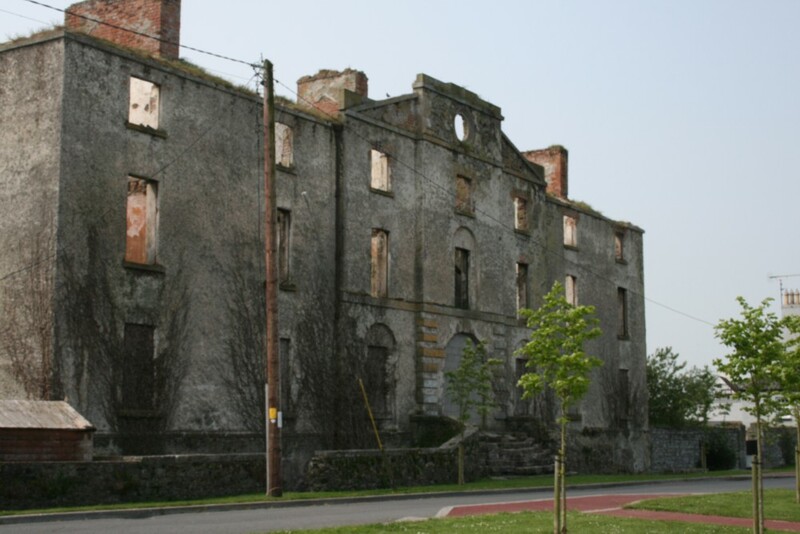 6:00 pm we pass through Pollagh. Some friends had raved about here and its wonderful pub. At one point we thought this was to be our destination for the day. I'm glad it is not. This is, from what we could see from the canal, a modern building village with the pub having the ultra moderm look ... so we sail on. 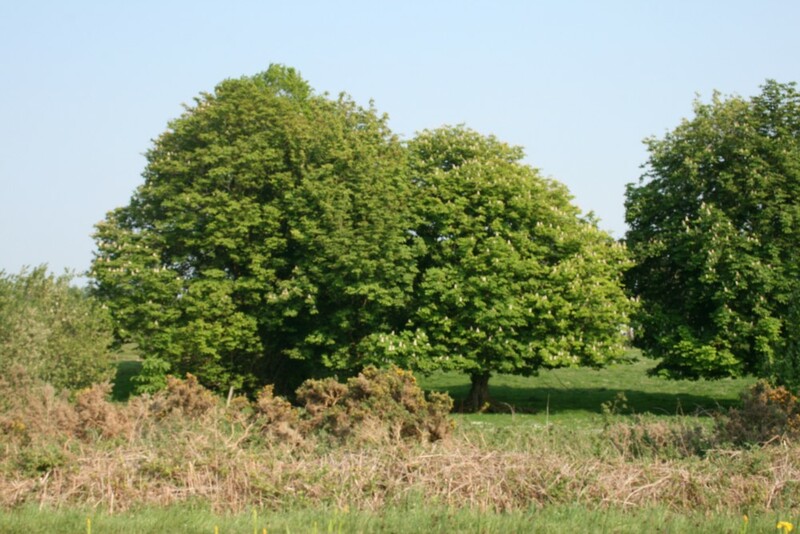 I am attracted to a field with a row of elegant horse chestnut trees here, though. 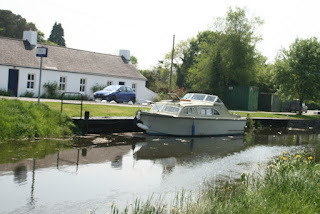 6:20 pm Arrive at Cornalour bridge lock, two locks here, the second nearby a few minutes away at Ballincloughin Bridge. 6:50 pm Time to say our farewells to our amazing lock keeper of the day, Alan Wynne. 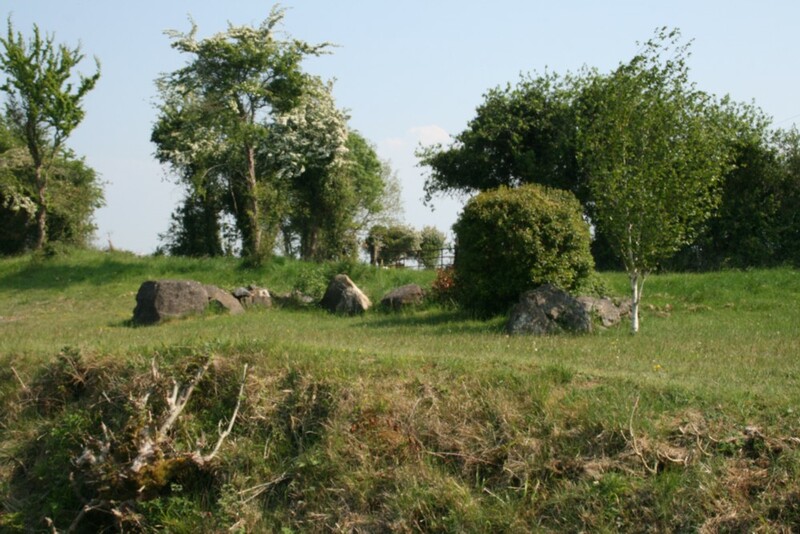 7:30 pm We arrive by The Thatch outside of Rahan, Co. Offaly. It does not seem as if there is anywhere to moor up, so we keep sailing. 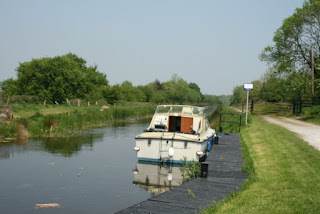 Further along the canal, and with a desire for someone else to cook and feed us this evening, we turn around and returned back towards The Thatch pub. 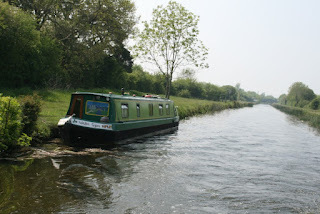 Indeed, this time, we discover an ancient stone mooring hidden within the grassy bank rightin front of the pub. The Thatch pub, which does not have a thatch any more, was once a wayside inn owned by the local Corcoran family of landowners. By the mooring is an old warehouse and remains of other buildings that made up a kind of trading posts in the area. It looks like it was never a huge traffic trading area but adequate for a rural stop. 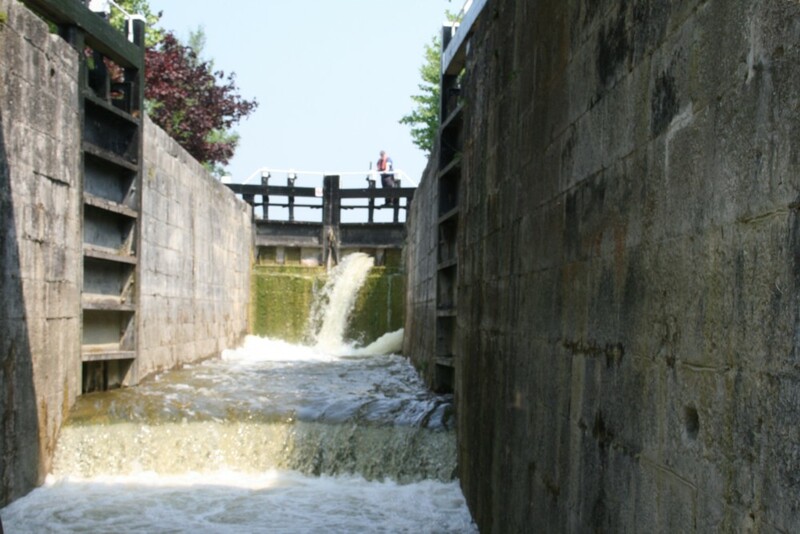 During 1838 it is recorded that 350 people stopped and used the facilities here. Entering The Thatch we are hopeful of a meal and beverages. The menu is pizza, chips, chicken dijons and sausage rolls. Pizza and chips it is but, to the delight of locals, beer is 3 euros a pint here. The landlord and the people here are the kindest, friendliest and helpful that can be. Its actually a major venue for music sometimes. Upcoming are Lisa Hannigan and Aslan. In the past they boast they had Oasis perform here. Tonight is supposed to be traditional music night. One man turned up, intriguingly called Paddy, and played tunes brilliantly on the pub's own guitar. Overall, it was a good social evening of jokes and stories. The Thatch is a "real" Irish pub, the type that visitors to Ireland rarely find because its not in a place or an area that they will visit ... yes this is deep in real Ireland where there are many more hurlers than leprechauns.